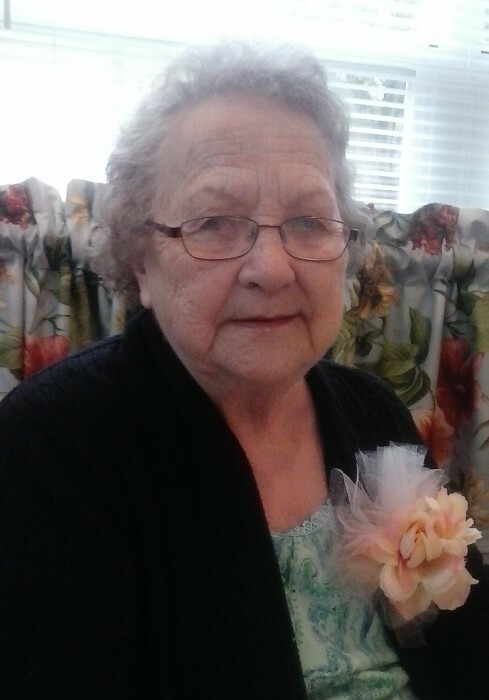 Billie Ann Hoyle, 81, of Shelby went to be with her Lord and Savior on April 4, 2019. She is survived by a daughter, Barbara Brown and husband Wendell of Iron Station, NC, two sons, Steve Costner and wife Carol, and Wesley Costner and wife Karen of Shelby, NC, 5 grandchildren Nathan Nejberger, Jessica Brown Henkle and husband Joe, Sarah Costner, Logan Costner, Landon Costner and wife Katelyn, 3 great grandchildren Anna Grace Henkle, Ella Rose Henkle, Henry Henkle, and a sister-in-law Louise Moore. Born on December 7, 1937, in Cleveland County, Billie was the daughter of the late Wesley and Sarah Gordon Moore and was preceded in death by her loving husband of 37 years, Russell Hoyle, and a brother Bob Moore. Mrs. Hoyle enjoyed camping at the beach with her late husband Russell. She also loved spending time with her family and making memories with her grandchildren. Funeral services will be held at Cleveland Funeral Services Chapel at 1:00pm on Saturday, April 6, 2019. A visitation will be held one hour prior to the service from 12:00pm to 1:00pm. A burial will follow the service at Cleveland Memorial Park. Memorial contributions can be made to Hospice of Cleveland County 951 Wendover Heights Drive, Shelby, NC 28150.